Ph.D., Sport Management, University of Massachusetts at Amherst, 1997. Dissertation Evaluating Brand Equity in the Team Sport Setting. 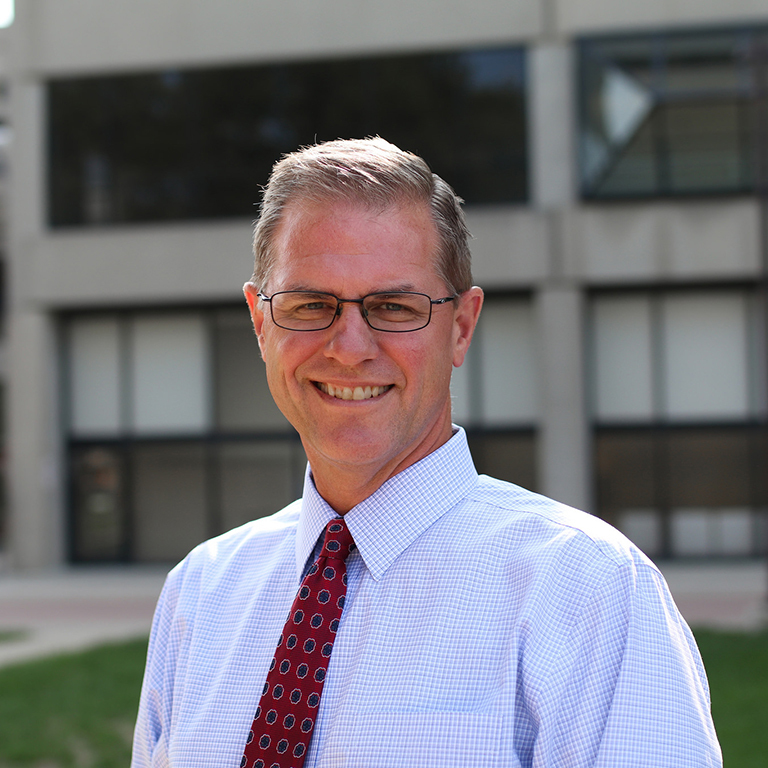 Dr. James (Jay) Gladden leads the IUPUI Division of Undergraduate Education as associate vice chancellor for undergraduate education, dean of University College, and acting dean of Honors College. He provides guidance and leadership for campuswide student-success programs that serve students from orientation through graduation. Dr. Gladden previously served as the dean of the School of Physical Education and Tourism Management where he strategically increased student support, retention, and conferred degrees. Before coming to IUPUI, Dr. Gladden was associate dean at the Isenberg School of Management at the University of Massachusetts Amherst and a member of the Sport Management faculty. Gladden earned his Bachelor of Arts degree from DePauw University in 1988, his master’s degree in sport management from The Ohio State University in 1991, and his doctorate in sport management from the University of Massachusetts Amherst in 1997. Gladden, James M., George R. Milne, and William A. Sutton (1998). “A conceptual framework for assessing brand equity in Division I college athletics,” Journal of Sport Management, 12 (1), 1-19. Gladden, James M. and George R. Milne (1999). “Examining the Importance of Brand Equity in Professional Sport,” Sport Marketing Quarterly, 8 (1), 21-29. Recognized as one of the top 20 articles over the last 20 years in Sport Marketing Quarterly (2011). Gladden, James M. and Mark A. McDonald (1999). “The Brand Management Efforts of a Niche Specialist: New Balance in the Athletic Footwear Industry,” The International Journal of Sports Marketing and Sponsorship, 1 (2): 168-184. Gladden, James M. and Daniel C. Funk (2001). “Understanding Brand Loyalty in Professional Sport: Examining the Link between Brand Associations and Brand Loyalty. The International Journal of Sports Marketing and Sponsorship, 3 (1), 45-69. Gladden, James M., Irwin, Richard L., and William A Sutton (2001). “Managing North American Major Professional Sport Teams in the New Millennium: Building, Sharing, and Maintaining Equity.” Journal of Sport Management 15 (4), 297-317. Reprinted in Weed, M. (Editor) (2013), Sport and Leisure Management, SAGE Publications. Gladden, James M. and Daniel C. Funk. (2002) “Developing an Understanding of Brand Associations in Team Sport: Empirical Evidence from Consumers of Professional Sport.” Journal of Sport Management, 16 (1), 54-81. Kerr, A. & Gladden, J.M. (2008). Extending the Understanding of Professional Team Brand Equity to the Global Marketplace. International Journal of Sports Management and Marketing, 3 (1/2): 58-77. Lilly Fellowship, University of Massachusetts, 2000-2001 academic year—one of eight junior faculty members on campus selected through an interview process to take part in a year-long teaching fellowship. Participant in Indiana University Executive Leadership Series (2012-13)—selected as one of two administrators on campus to take part in system-wide leadership development series.